There is nothing more important than protecting our population, especially the most vulnerable, from risks. If there is a risk, there must be a choice. Vaccines (lab-created biologics) are not without their risks. The statement “Vaccines are safe and effective” is simply unfounded. Protection of informed consent is essential in a free society, but that is threatened today. Independent bodies such as the Cochrane Collaboration, which is considered Level I hierarchy of medical evidence, are unable to determine if vaccination prevents primary disease and reports safety issues. This is a lot of information, so it is broken down by the vaccine. I have thoroughly covered measles and chickenpox, so they are not included in this post. You can find those here and here. Quotes below are directly obtained from studies. In 2012, Bar-On, Goldberg, Hellman, & Leibovici evaluated DTP-HBV and HIB vaccines. Overall, they reported “Data for the primary outcome (prevention of disease) were lacking” and reported increased bias within performed studies. There was a reassessment of this in 2017, and those authors were unable to perform the study. “Ethical barriers to the inclusion of a placebo group, combined with the evidence that whole-cell vaccines are not uniformly effective, will create problems for future efﬁcacy studies. Such studies will need to include a self-selected, non-immunised and potentially biased control group, in order to provide an estimate of absolute vaccine efﬁcacy. Further, analyses of the data from existing placebo-controlled studies, with the aim of determining characteristics of participants and their environment which affect vaccine efﬁcacy, will permit future studies to improve these estimates of absolute efﬁcacy by adjusting for such factors. “One study (1182 infants) assessed the effectiveness of tetanus toxoid in comparison with inﬂuenza vaccine in preventing neonatal tetanus deaths. These two studies qualified to be evaluated, and both studies do not have true saline-placebo controls as the ‘placebo arm’ was administered a vaccine including adjuvanted components. “The overall quality of evidence is low for primary outcomes. Most outcomes had wide conﬁdence intervals crossing the line of no effect, and most of the included trials had small numbers of participants and few events which led to downgrading evidence for imprecision of ﬁndings. “Serious adverse events were reported in 4565 out of 99,438 children vaccinated with RV1 and in 1884 out of 78,226 children vaccinated with RV5. Fifty-eight cases of intussusception were reported in 97,246 children after RV1 vaccination, and 34 cases in 81,459 children after RV5 vaccination. The vaccine efﬁcacy is lower in high-mortality countries; however, due to the higher burden of disease, the absolute beneﬁt is higher in these settings. No increased risk of serious adverse events including intussusception was detected, but post-introduction surveillance studies are required to detect rare events associated with vaccination. Of the 41 RCTs analysed in this review, 25 (61%) reported an adequate generation of allocation sequence, while the method of assignment was unclear in the remaining studies. The methods used to conceal allocation were considered adequate in 19 trials (46%), and unclear in the remaining studies. “We found 52 clinical trials of over 80,000 adults. We were unable to determine the impact of bias on about 70% of the included studies due to insufficient reporting of details. Around 15% of the included studies were well designed and conducted. We focused on reporting of results from 25 studies that looked at inactivated vaccines. Injected influenza vaccines probably have a small protective effect against influenza and ILI (moderate-certainty evidence), as 71 people would need to be vaccinated to avoid one influenza case, and 29 would need to be vaccinated to avoid one case of ILI. Vaccination may have little or no appreciable effect on hospitalisations (low-certainty evidence) or number of working days lost. Don’t believe me? Go have a look for yourself. These evaluations were made by medical doctors of an independent, non-profit organization that are free from conflicts of interest. This demonstrates that there is no evidence of safety, nor efficacy, of these vaccines. Further, evaluating the use of several vaccines at the same time is absent from the literature. We need to create an independent council that can evaluate the overall safety of the childhood vaccine schedule. We also need the ability to evaluate vaccines for all ages, as mandatory vaccine laws are entertained in legislative houses today. The good news is that the Cochrane Hepato-Biliary Group has proposed a systematic review on the use of aluminum adjuvants in vaccines this year (2019). This is going to be a monumental study that has implications for the entire vaccine schedule as most vaccines contain aluminum adjuvants. I eagerly await the results. HEAR THIS WELL: Your rights to medical freedom and informed consent are being threatened TODAY. These are current vaccinations that are being tested. Maybe you don’t care about the childhood vaccine schedule. Maybe you don’t have children and never plan to do so. Maybe you believe in your heart of hearts that vaccines are for the greater good. That is fine. That is YOUR choice (for now). However, if a mandatory vaccination law is passed, there is NO LIMIT to the number of vaccines that are authorized to be injected into YOU, an adult. What happens if it is no longer your choice? What happens when Stage 4 of the clinical trial (use in populations and post-marketing studies) determines that a new vaccine causes harm and you did not have a choice? Well, by that point it does not matter. You have NO CONTROL over your health. You have NO CONTROL over what goes into your body at the discretion of pharmaceutical companies and government agencies. Then what? Public health officials can essentially go door-to-door to mass vaccinate communities. Is this what you want? Because if you do not stand up now, this is what you will get. It has been done before and it can be done again. Your voice must be heard. Informed consent must be protected. 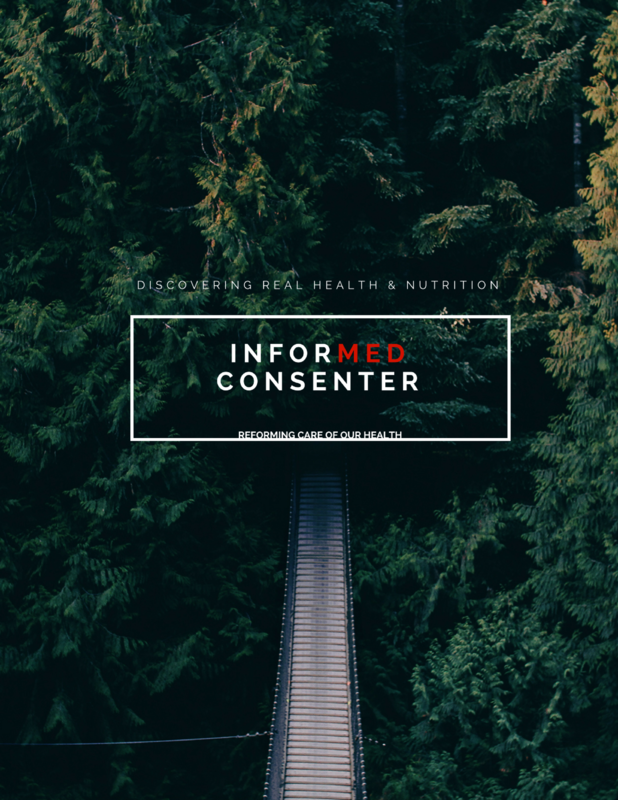 A law mandating a medical intervention eliminates informed consent, as you no longer have the choice and therefore do not need to know the risks. Last year (2018), HEPLISAV-B was approved for the adult vaccination schedule. Just look up ACIP vote last year on this issue and how exactly they voted this vaccine through, here is one link. Certainly, that brings you to pause. Still feel like lining up for the future HIV vaccine? Above all, we need to focus on safety. Even if you are a proponent for mandatory vaccines, you should be able to prove their safety and efficacy. You should be 100% confident in what an unbiased safety council will find when evaluating these biologics. So why not prove it? This easily accessed petition will help squander this debate. You can find state-specific information on vaccine laws here. But in the meantime, #IDoNotConsent. A society that touts personal liberty should be free from coercion. Informed consent, body autonomy, individualized care, and evidence-based practice are cornerstones to today’s medical practice; without these things, we can expect higher profits for pharmaceutical/medical technology and insurance companies, higher risks, and worsening health outcomes. Stand up for yourself (and future generations), before you’re forced to sit down and blindly accept medical interventions. Eke, A. C., Eleje G.U., Eke, U.A., Xia Y., & Liu J. (2017). Hepatitis B immunoglobulin during pregnancy for prevention of mother-to-child transmission of hepatitis B virus. Cochrane Database of Systematic Reviews, (2). Bar-On, E. S., Goldberg, E., Hellman, S., & Leibovici, L. (2012). Combined DTP-HBV-HIB vaccine versus separately administered DTP-HBV and HIB vaccines for primary prevention of diphtheria, tetanus, pertussis, hepatitis B and Haemophilus influenzae B (HIB). Cochrane Database of Systematic Reviews, (4). Chaithongwongwatthana, S., Yamasmit, W., Limpongsanurak, S., Lumbiganon, P., Tolosa, J. E. (2015). Pneumococcal vaccination during pregnancy for preventing infant infection. Cochrane Database of Systematic Reviews, (1). Demicheli, V., Barale, A., & Rivetti, A. (2015). Vaccines for women for preventing neonatal tetanus. Cochrane Database of Systematic Reviews, (7). Demicheli, V., Jefferson, T., Di Pietrantonj, C., Ferroni, E., Thorning, S., Thomas, R. E., & Rivetti, A. (2018). Vaccines for preventing influenza in the elderly. Cochrane Database of Systematic Reviews, (2). Jefferson, T., Rivetti, A., Di Pietrantonj, C., & Demicheli, V. (2018). Vaccines for preventing influenza in healthy children. Cochrane Database of Systematic Reviews, (2). Mathew, J. L., El Dib, R., Mathew, P.J., Boxall, E.H., & Brok, J. (2009). Hepatitis B immunisation in persons not previously exposed to hepatitis B or with unknown exposure status. Cochrane Database of Systematic Reviews, (1). Moberley, S., Holden, J., Tatham, D. P., Andrews, R.M. (2012). Vaccines for preventing pneumococcal infection in adults. Cochrane Database of Systematic Reviews, (1). Soares-Weiser, K., Goldberg, E., Tamimi, G., Leibovici, L., & Pitan, F. (2010). Rotavirus vaccine for preventing diarrhoea. Cochrane Database of Systematic Reviews, (9). Soares-Weiser, K., MacLehose, H., Bergman, H., Ben-Aharon, I., Nagpal, S., Goldberg, E., Pitan, F., & Cunliffe, N. (2012). Vaccines for preventing rotavirus diarrhoea: vaccines in use. Cochrane Database of Systematic Reviews, (11). Zhang, L., Prietsch, S. O. M., Axelsson, I., & Halperin, S. A. (2014). Acellular vaccines for preventing whooping cough in children. Cochrane Database of Systematic Reviews, (9). With the recent media-driven hysteria over measles, I’ve been asked by friends, co-workers, and family if I was concerned since I am an ex-vaxxer and have likely not vaccinated my littles with MMRV. Concerned about the measles that lurks in our population? No. Concerned about my children getting measles? No. Concerned about how people lack the capacity to research the actual incidence of measles as related to the population density of children? Yes. Concerned about people regurgitating the propaganda and bashing parental choice? Yes. As for the rest… we have given mainstream media too much credit in our country. Let us look at the numbers. According to the U. S. Census Bureau in 2017, we estimated the total population at 325,719,178. Of this population, 23% were under the age of 18 years; this gives us roughly 39,086,301 children in the U. S. under age 18. If I take a gross overview of the incidence of measles in the United States over the last ten years (Because that data is readily available to me. Thank you, CDC! See table.) That gives us 2,059 cases of measles across EVERY age group for ten years. If I were to apply this number to our current population of children alone, that is an incidence of 0.0000527% of those aged <18. A minuscule percentage, even when I apply the total number over the course of a decade to the population of today. Of course, this is an innacurrate calculation as population fluctuates. If I were to apply the recent numbers (2018 to currently) for a rate of 473 cases… that is 0.0000121% of the entire population of children alone. The incidence of measles is 1.2 in every 100,000 children! That is also known as a 12 IN A MILLION chance that your child got measles last year. What?! Why is this mainstream news?! UPDATE: number exaggerated by CDC on actual incidence of measles-related deaths, [see image below]. The U. S. has a population that touts 1 in 3 obese children. This incidence is tangible. This risk factor leads to early-onset diabetes and hypertension which contribute to coronary artery disease, the leading cause of death! So why aren’t we talking about the unhealthy foods marketed to our children, given to them in school, and promoted by mainstream media and big business? Because: MONEY. These things are lucrative. There is no profit in growing your GMO-free, water and sunshine fed produce in your backyard and certainly no money in a healthy child. However, there is a lot of money in autoimmune disorders, chronic disease, and frequenting the pediatrician and the plethora of specialists we have created in the medical community for all of your sickcare needs. Let us look at the numbers again. According to the Diabetes Report Card of 2017, in 2015 there were 193,000 new diagnoses of diabetes in those <20 years old. In one year, 0.005% of children were newly diagnosed with diabetes, not including those already diagnosed; 5 in 1,000 children were diagnosed with diabetes. They also report a 6.6% annual increase of diabetes among those <20 years of age. Diabetes is a risk factor for chronic conditions including… You guessed it! CORONARY ARTERY DISEASE. According to the CDC, there are 1.3 million children aged 12-19 diagnosed with hypertension. For every 100 children, 3 will be diagnosed with hypertension using the CDC data. Read that again. Hypertension is also a major risk factor for that leading killer! The U.S. spends almost $10,000 per capita in “health” care. This is double the second-highest spender, Canada. Compared to Australia, Canada, France, Germany, the Netherlands, New Zealand, Norway, Sweden, Switzerland, and the United Kingdom we rank DEAD LAST in health outcomes. How embarrassing. While the mainstream media is attacking parental choice and pushing government mandates, we must remind ourselves that our government does not have a track record for success in health matters, but sure spends a lot of money in the meantime. With poor health trends mimicked in our children, it is time that parents take responsibility for the health of their littles… It is time that we question mainstream practices and consult the evidence. It is time we stand up, recognize what matters most, and identify the histerics. Informed parents are not concerned about measles. Informed parents are not mainstream. Informed parents are often ridiculed by powerful entities. Do not be mistaken. We are educated, vigilant, and fiercly protective of our own. Ball is in your court. It is the time of year for gathering with friends and family with some full meals, heavy soups, and high sugar treats. These things can be detrimental to your health when they are not supported by useful sources of nutrition. Good news! You get to be creative in the kitchen. As I say: Most things in moderation, some restricted. While you’re preparing those leftovers from Thanksgiving, throw in some fresh vegetables! It is the season for broccoli, cauliflower, carrots, garlic, onions, spinach, kale, cabbage, and lettuce! All these things work well as garnishes, on sandwiches, in casseroles, and soups. Well, I wouldn’t put lettuce in soup, but cabbage soup is pretty tasty! As it cools down, think soup! Soup is nice and warming, has the potential to provide you with several nutrients (it is all about what you toss in), and supplies your body with HYDRATION. We tend to remember to drink water in the summer while we are hot; yet, forget in the winter while we are hermits. You need hydration all year long. Soup to the rescue! Which brings us to the stars of the show… these winter vegetables. Kale: Same as spinach with additional anti-cancer, antioxidant, and anti-inflammatory properties. I add kale to all my recipes! These vegetables (plus, many more and fruits) are sources of metabolites and biologically active components that are found to be beneficial to overall health and several immune functions. While cooking some vegetables, be careful not to boil your soup. Why? – Vitamin C is a powerful antioxidant. It cleans up waste within your body by capturing free radicals. Free radicals are unstable, highly-reactive particles that cause cell damage. You want to limit these! – Because Vitamin C is water-soluble, it is excreted in your urine. This means that you must constantly replenish this vitamin for use. It also means that Vitamin C escapes foods when exposed to heat and water. Boiling as preparation for vegetables high in vitamin C breaks down this vitamin, and it can get lost in the liquid. That is obviously okay in soups! If you are worried about the heat, just add your vitamin C rich vegetables LAST and be careful when reheating leftovers. Or, you can do what I do and just save some vegetables and add them in each time you reheat your soup. Vitamin C is also tolerable in high doses with no upper limit toxicity. The only documented side effect is abdominal discomfort and bowel flushing in frequent mega-doses. Yet, some vegetables love the heat! A gentle sauté before tossing them in soup can bring out the flavors and do wonders for carotenoids found in carrots and deeply colored root vegetables! These are excellent vegetables in soups. Beta-carotene: This is a mineral that is converted to Vitamin A. Beta-carotene has anti-cancer properties specific to the gut, lungs, and leukemia. Dietary beta-carotene is safe in high doses as the body will not convert more beta-carotene than needed. Retinol (another form of vitamin A) is already converted and can be absorbed in toxic amounts as it is readily stored in fats. Vitamin A protects your skin and mucous membranes (your first line of defense!). Vitamin A fortifies the immune system and is essential for eye health and vision. Most of all, have fun combining flavors and find what works for you and your family. Some vegetables are a pain to prep; some are easier. Some people cannot tolerate certain flavors; some put garlic in EVERYTHING (guilty!). I capitalize on naptime for veggie prep. Hours in the kitchen may save you hundreds in the stores seeking out illness remedies. A fortified immune system is well-equipped to fight off those “seasonal” invaders! For herd immunity, they say you need 95% vaccine compliance. They say that the majority need to be vaccinated so that we have “high levels” of immunity. This “coverage” allows for those vulnerable populations (immune-compromised, vax failure, unvaccinated) to be somehow protected. With high rates of immunity, the virus has low levels of presence within the population. You need your population to be highly immune to lower the chances of endemic exposure to those “not protected.” This is the idea behind herd immunity. Let’s talk about varicella (chickenpox) and rubeloa (measles). Both used to be widely accepted as a childhood right of passage. Both natural infections are self-limiting with a short duration. As with every single respiratory virus, including common colds (there are 100s of strains), there are risks for complications when the child is immunocompromised, or their nutrition is poor. A healthy immune system is key to fending off diseases and infections. There are always risks of secondary infections with any illness. This does not change just because there is a vaccine available. All viruses have risks. Why did they create a chicken pox vaccine? To help families avoid missing work. They recognized that chickenpox kept mothers from work for 1-2 weeks so they created a vaccine to shorten this time frame… so they could save up those precious sick days. Not going to school is even listed as an inconvenience due to this disease on the CDC website. Have a look (https://www.cdc.gov/chickenpox/about/symptoms.html). Instead of weeks of chickenpox, if your child happened to get the infection, it would only last a few days. This is still true today. If your child has been vaccinated, they can still get the infection, but it is a “milder form” of chickenpox, though some vaccinated children still get full-blown chickenpox (approx. 1-3% vaccine failure). You cannot inject health. You can inject substances that provoke the immune system (action of a vaccine), but it does not guarantee immunity. If the body does produce an antibody, it is only guaranteed for a short term. The vaccine insert for varicella estimates 10-13 years of antibody presence, with a high (99%) seroconversion rate for 2-dose series. If herd immunity was our goal, let’s suppose everyone gets maximum 13 years effect starting at age 6 when the second vaccine is administered. Where are those vaccine campaigns for 19-year-olds, 32-year-olds, 45-year-olds, and so on…? Nope, no varicella vaccine campaign for them. 24% of the US population is under 18 years of age. So, we can go ahead and understand that more than 76% of our total population holds no immunity to varicella. On a herd immunity stance, this does not exist for chickenpox. Shingles proves that the varicella vaccine is a huge failure, we can explore that another day. This virus causes high fever and a rash from head to toe. The complications include ear infections and pneumonia. Again, pneumonia is a complication of all respiratory viruses. Like the varicella vaccine, the MMR (measles, mumps, rubella) has a short duration of 11-13 years, and a booster at elementary age is usually recommended. They should really start this mass campaign for MMR and varicella vaccination for ages 19, 32, 45, 58… so on, because that herd immunity theory is really taking a hit right now. Moving on, the CDC and medical world attribute the decline of measles to vaccination alone. This is an outright lie. If you go to the vital statistics rates in the United States from the 1930s to the 1960s, you will see the natural decline of measles in the chart on page 85. I’ve attached it below. Keeping this graph in mind, the vaccine was not licensed for use until 1963. Furthermore, the vaccine was not widely used until the late 1970s, per the CDC website. The campaign to eliminate measles by vaccination began in 1978 and ended in the early 1980s. They called it a success because of decline in numbers of measles comparatively. They seem to omit the fact that measles declined on its own from the 1900s to 1960s, but still cite the numbers of infections and deaths from this period (1900-1960s) to justify the use of the vaccine, when it was not directly linked to the fall of the disease. Questioning these tactics yet? I also can’t get behind a vaccine that is currently pending trial in U.S. courts for research scientists exposing that they falsified the efficacy. Here is the court document for that (http://probeinternational.org/library/wp-content/uploads/2014/09/chatom-v-merck.pdf). That CDC scientist has whistleblower status and is barred from testimony. So, when you get up in arms about that one child with measles in a population of 74.2 million children, they are effectively driving the fear. Think about it… Do you really consider 0.00000000054% of the population an outbreak?! 0.0000000135% of children in the US has measles and the masses are outraged and free to ostracize parents that choose to educate themselves about this topic and take different approaches. And, for what? Did you accomplish anything? Did you spread awareness about anything or further the divide without evidence to back the claims? The media does a great job in keeping us divided, especially when they try to prove child injury or the fear of some massive “outbreak.” They allowed you to take sides on a parental choice. This should be a parent’s informed decision, but sensational stories sell. They want you to take sides. They want you to push for mandatory interventions. Less liberty, more control. Don’t let them take away your parental rights because of ignorance and fear. If all of the children were vaccinated on schedule (which we know they are not) then we would have 24% coverage nationwide (nowhere near 95%). When was the last time your adult parents had vaccines? Aunts? Uncles? Grandparents? Alright then. Time to wake up. Your herd isn’t immune. Here’s an interesting thought. Approximately 5-15 and 150-200 people in the United States each year get the plague and leprosy. Do you fear the plague? Leprosy? No? Probably because we don’t have a vaccine for those conditions and the mainstream media doesn’t have anything emotionally driven like children and “life-saving vaccines” to blame that on. But, hey, plague and leprosy still occur in the United States in higher incidence than the measles, but that is a non-issue. The media is a powerful tool, if you give it that power.